Nick Quarm Dark Electro, Harsh EBM Russian trio Sleetgrout have made a big impression for themselves in the Industrial underground. EPs such as 'Principle Of Dark Electro' have been received like the coming of christ, and 'Dance Like Joke' went down a treat when released on Synthematik 3 as a precursor to this long awaited full-length. It opens with 'Get Rid Of This Life' - the strongest opener to an Aggrotech/Harsh EBM album In a long long time. An amazing build up meets a stupidly catchy melody, the synth knows exactly what to do and acts as brilliant bridge, and it's all put together as expertly as anything on say, Noitekk. I've listened to this album four times, and this track over ten. It's just disgustingly fun and bouncy. 'Go To Heaven' treads on similar ground. Sleetgrout seem to be all about build ups and delivering the 'knock out' approach. Another catchy, well produced track with varying song sections and layers put together well enough to retain a firm, heavy interest. The vocals on here are distorted and typically very heavy - it recalls the earlier days of the Dark Electro scene when melodic trance hooks were met with contrasting aggression, and it's the contrast that gives Sleetgrout another feather in their cap. 'Trick or threat' (sic) is slower, but builds into yet another sublime melody, making the opening three tracks all essential - a rare milestone to reach in a scene that's oft dumbed down. The progressive build ups and spacial sounds to 'Let's talk about My Life' form an intro both out of place but comforting; it's important to be aware that no matter how good the music, if it sounds too similar, the audience will be put off. Sleetgrout seem to be using that as mantra, as each track conceives another, there's difference enough to truly revel in a template of genuine talent. Of course, 'Dance Like Joke' returns on here with it's quirky, happy feel to it, but the only thing left for me to really talk about that hasn't been featured already is the closing track (sans hidden extra) 'Hell'. It's Hardstyle. It's unexpected. It's mind blowing. It's perhaps representative of a brave group to put this track at the end of the CD, but this young trio are confident, and so they should be. 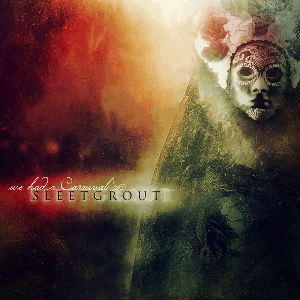 Russian trio Sleetgrout have made a big impression for themselves in the Industrial underground. EPs such as 'Principle Of Dark Electro' have been received like the coming of christ, and 'Dance Like Joke' went down a treat when released on Synthematik 3 as a precursor to this long awaited full-length.